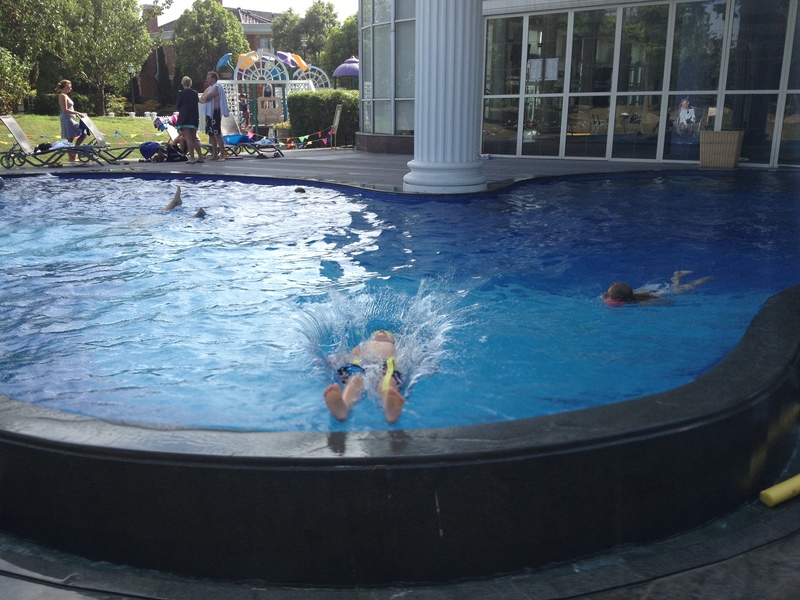 We are very fortunate at The Emerald compound to have several swimming pools to choose from. 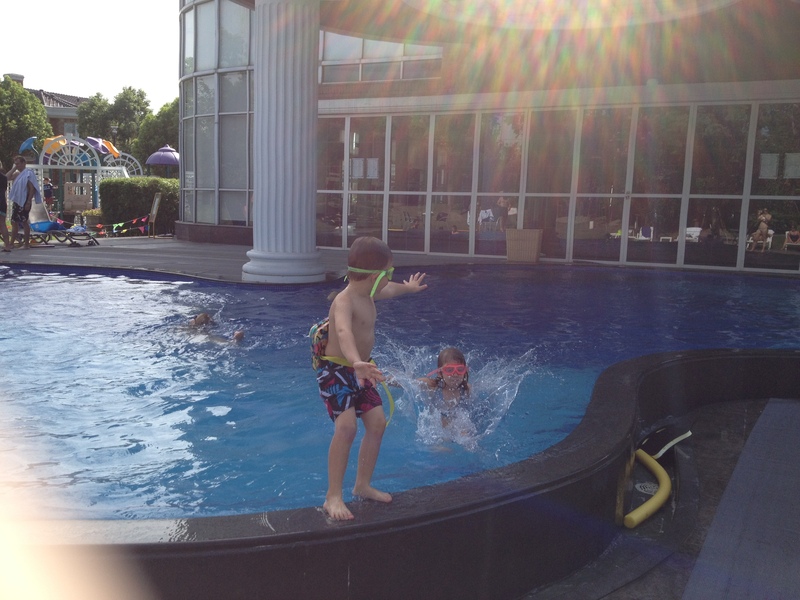 The outdoor pool is open from beginning of June to mid September. If you ask the kids what they want to do at the weekend, they will always say “Pool please!” They both love swimming and the pool is the place to be at the weekend – lots of friends to play with, lots of adults to socialize with! 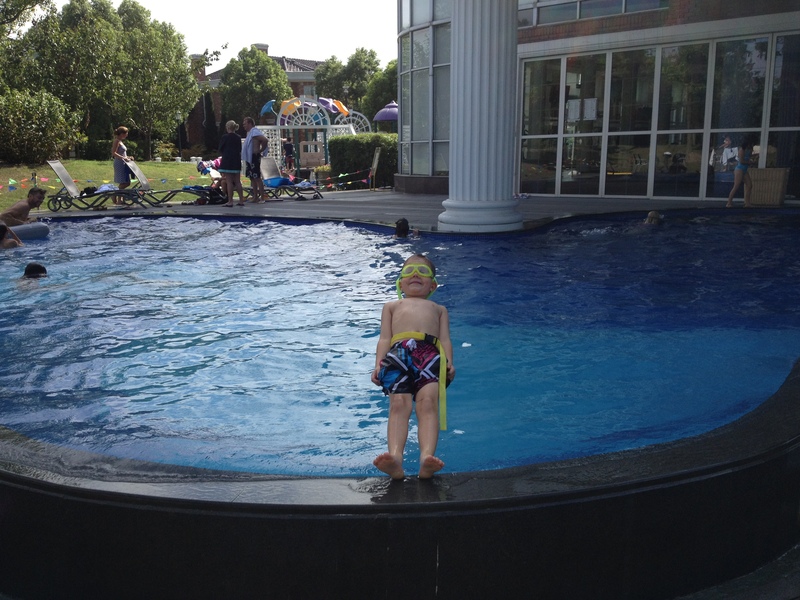 We ride our bikes from our house to the pool, laden down with water toys, drinks and snacks! Oliver: “No, I will just push you” !! 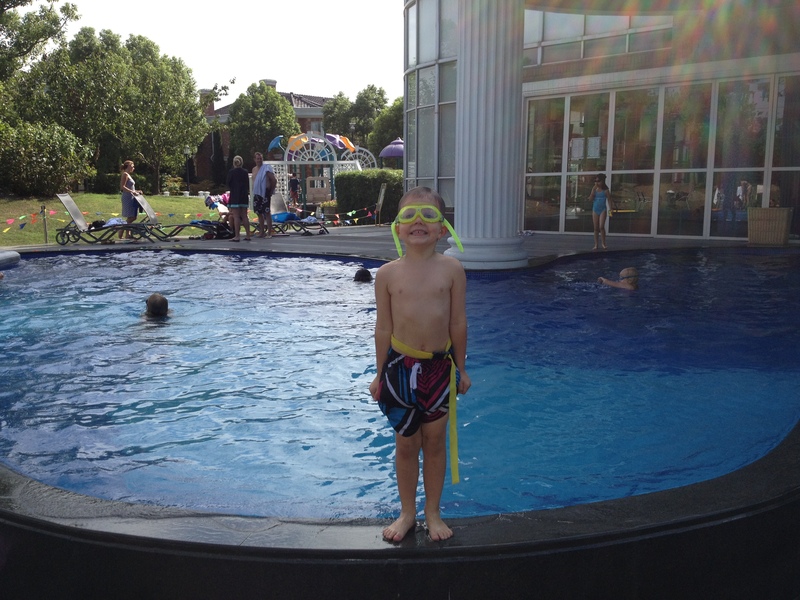 This entry was posted in Uncategorized and tagged Emerald, Kids, Pool, Swimming. Bookmark the permalink.